Energy production and use drives the world's economies and offers hope for growth and prosperity. Yet the extraction and use of fuels and development of energy facilities are among the greatest threats to the global environment. This course introduces students to the legal, economic, and structural issues that both shape our energy practices and provide opportunities to overcome these critical problems. The course focuses primarily on the regulation and design of electricity systems and markets because so many energy choices—the use of oil, natural gas, coal, nuclear, the green alternatives such as solar, wind, and energy conservation or "demand-side management"—relate to the way we generate or deliver electricity, or avoid the need to do so. Next to the use of petroleum for transportation, electric generation is the greatest contributor to air pollution and the greatest source of greenhouse gas emissions. In addition, as urban and suburban development spread across the land, the maintenance and expansion of the electric transmission grid creates increasingly challenging land-use problems. The course examines both the traditional monopoly model of regulation and evolving competitive alternatives. The course exposes students to energy resource planning, pollution management, rate design, green markets, energy efficiency, demand-side management, renewable energy portfolios, climate change, and carbon management. The course provides an introduction to administrative law and to practice issues in the field. 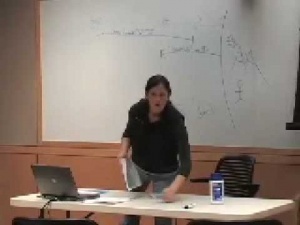 Lecture 12: Waves, Tides, & Ocean Thermal.